Shannon Lee believes in magic. Not the kind with faeries and unicorns*—the kind where you spark an emotional response that’s a hundred times more powerful than its parts. 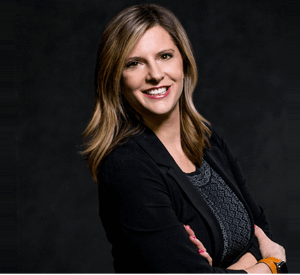 Shannon brings a human approach to brand building and marketing that connects audiences to the moments that matter most to them. As VP of Creative and Engagement at StudioNorth, Shannon leads a high-performance team of content creators and social marketing specialists that grow brands by creating engaging and exciting marketing experiences (including digital marketing campaigns, brand development, social media programs and experiential events). Under her leadership, her team’s work has been featured in design industry publications such as Graphis, Mohawk Connects, and UnderConsideration, and has been honored in the Healthcare IT industry with HITMC 2017 Agency of the Year. When she’s not making marketing magic at StudioNorth, Shannon also serves on the Board of the American Marketing Association, Chicago as Director of Communications. *She hasn’t given up on the unicorns just yet, however.